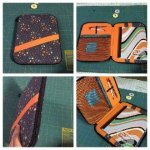 This pattern is fat quarter friendly and has instructions for 3 different sizes of zippered supply cases. 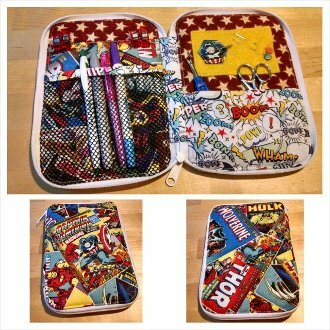 The large size case is the perfect fit for a notebook, the medium size is great for sewing supplies, crochet hooks, or colored pencils, and the small size case is fantastic for hand sewing supplies. Anything you can imagine to carry around, this case is perfect for that! All cases feature mesh and topstitched pockets on the inside for ample storage space, as well as elastic for holding pens and pencils. 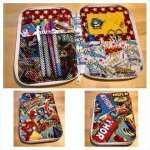 Great for kids, crafters, teacher gifts, and more!